Indicates a hazardous situation which, if not avoided, could result in minor or moderate injury or damage to property or equipment. Indicates important information not related to personal injury. Do not work on the Mediatrix unit, connect or disconnect its cables during periods of lightning. Avoid using a telephone (other than a cordless type) during an electrical storm. There may be a remote risk of electric shock from lightning. Do not connect external lines to Mediatrix S7 units, as it does not have lightning protection. The earth ground cable must be firmly and securely connected to the grounding screw on the back of the Mediatrix unit and an appropriate grounding point in your site: the earth ground cable must remain tightly secured at all times during service and installation. Disconnect all interface cables (including FXS, ) before unplugging any power sources from the Mediatrix unit. Disconnect all interface cables (including FXS, ) as well as all power sources connected to the Mediatrix unit before servicing the unit. This equipment must be installed and maintained by service personnel. Incorrectly connecting this equipment to a general-purpose outlet could be hazardous. This product relies on the building's installation for short-circuit (overcurrent) protection. Ensure that a fuse or circuit breaker no larger than 120 VAC, 15 A U.S. (240 VAC, 10 A international) is used on the phase conductors (all current-carrying conductors). The unit must be grounded at all times when in use. The earth ground connection between the grounding screw on the back of the Mediatrix unit and an appropriate grounding point in your site must always be made first and disconnected last. Do not connect the ETH2, ETH1,LAN, and FXS connectors directly to the Public Switched Telephone Network (PSTN), to an off premise application, an out of plant application, any exposed plant application, or to any equipment other than the intended application, connection may result in a safety hazard, and/or defective operation and/or equipment damage. Exposed plant means where any portion of the circuit is subject to accidental contact with electric lighting or power conductors operating at a voltage exceeding 300 V between conductors or is subject to lightning strikes. The Mediatrix unit must be installed on a circuit equipped with a breaker so that you can easily power the unit off if required. Adequate earth ground connection of the Mediatrix unit is mandatory to avoid any damage or injuries. Hazardous network voltages might be present in WAN, LAN, Sync, and telephony port connectors regardless of whether power to the device is OFF or ON. Use caution when working near these connectors to avoid electric shocks. The socket outlet, if used, shall be located near the equipment and shall be easily accessible by the user. The AC adaptor inlet is considered as a disconnection device. The device must be readily operational. To reduce the risk of fire, use only No. 26 AWG or larger telecommunication line cords. The RJ-11 cable should comply with UL 1863 and CSA C22.2 No 233 standards. Do not use this product near water, for example, near a bath tub, wash bowl, kitchen sink or laundry tub, in a wet basement or near a swimming pool. Do not expose the unit to rain or moisture to avoid any shock hazard. Do not use the telephone to report a gas leak in the vicinity of the leak. Do not get this product wet or pour liquids into it. Ultimate disposal of this product should be handled according to all national laws and regulations. If the unit is installed in a closed environment or on a multi-unit rack, the ambient temperature of the environment next to the Media5 unit may become greater than the maximum operating temperature recommended by Media5 for the use of its units, i.e. 40ºC. The Mediatrix unit should never be used to temperatures greater than the recommended maximum operating temperature. Any damage occurring in such environmental conditions will void the warranty. Keep your Mediatrix unit clear and dust-free during and after installation. Locate the emergency power-off switch for the room in which you are working. Then, if an electrical accident occurs, you can act quickly to turn off the power. Do not work alone if potentially hazardous conditions exist. Never assume that power is disconnected from a circuit. Always check. Do not perform any action that creates a potential hazard to people or makes the equipment unsafe. Do not open or disassemble this product. The unit should be located at 20 cm from your monitor, computer casing or other peripheral including speakers. When the unit is brought from a cold to a warm environment, condensation, that might be harmful to the unit, may occur. If this is the case, wait one hour before powering the unit. When working on a Mediatrix unit, always wear an ESD wrist strap, ensuring that it makes a good contact with your bare skin. Attach the ESD wrist strap end to an earth ground i.e. the grounding screw on the back of the Mediatrix unit or on an unpainted bare metal spot of a grounded equipment rack. To avoid premature aging of the unit, insure user security and facilitate access, upgrades and maintenance, the following guidelines must be followed. Install the Mediatrix unit in a well-ventilated location where it will not be exposed to high temperatures or humidity. Do not install the Mediatrix unit in a location exposed to direct sunlight or near stoves or radiators. Excessive heat could damage the internal components. Unit should be positioned to be accessible for future upgrade, maintenance and troubleshooting and where cables can be easily connected. Maintain a minimum of 25 mm (1 in.) clearance in front, in the back, on top , under (for rack mounted units) , and on the sides of the unit. Keep airflow around and through the vents of the unit clear of any obstruction. Do not put books or paper on the unit. These guidelines apply for any cable, supplied or not, used with a Mediatrix unit. Always use straight through cables. Cables must not pull or create a lateral stress on the connectors, i.e. they must be long enough. Cables must be installed in such a way not to present a trip hazard to personnel working in the vicinity of the equipment. Network information available and recorded in site log. Installation site pre-power check completed. Mounting tools and equipment available. Regulatory compliance and safety information received. Rack, desktop mounting of chassis completed. 1 Power cord with the proper model for the country. To clean a Mediatrix unit, wipe with a soft dry cloth. Do not use volatile liquids such as benzine and thinner as they can damage the unit's casing. For resistant markings, wet a cloth with a mild detergent, wring well and then wipe off. Use a dry cloth to dry the surface. The earth ground cable should be the same size (18 AWG minimum) as the earth cable of the provided power cord. Otherwise, make sure the earth ground cable meets the standards and requirements of your local electrical code. The type of the cable is likely to have VW-1 or RT1 markings on the cable. The Mediatrix S7 is highly customisable in the sense that it may have one or several types of ports, or none. Therefore the following image may not exactly represent your Mediatrix unit. 7 FXS card with 4 FXS ports 4 x RJ-11 connectors to attach a conventional telephone or G3 fax machine. 8 ETH1 A 10/100/1000 BaseT Ethernet RJ-45 connector for access to a LAN, WAN or computer. This port is by default used for uplink / WAN connection. 9 ETH2-ETH3-ETH4/ETH5 10/100/1000 BaseT Ethernet RJ-45 connector for access to a LAN, WAN or computer. These ports are used by default for LAN connections. When installing or replacing the Mediatrix unit, the earth ground connection between the grounding screw on the back of the Mediatrix unit and an appropriate grounding point in your site must always be made first and disconnected last. This is mandatory to avoid any damage or injuries, even if the Mediatrix unit is installed in a grounded equipment rack. Before performing this procedure, you must first read and understand the Safety Recommendations listed in this document. Install the unit on a flat surface or in an equipment rack. Refer to Installing the Unit on a Flat Surface . Connect the Telephony Interface Cables. Refer to Connecting the Telephony Cables . To prevent damage to the Mediatrix unit, make sure to connect the cables to their proper location on the Mediatrix unit. Unpack the unit and go through the Package check list. Apply the Bumpon™ autoadhesive protective products to the bottom of the unit. This will improve the airflow under the unit. Install the unit on a flat surface. Make sure the unit is at 20 cm (8 in.) from your monitor, computer casing, or other peripheral, including speakers. Wear an ESD wrist strap, ensuring it makes good contact with your bare skin. Attach the ESD wrist strap end to an earth ground (grounding screw on the back on the Mediatrix unit or unpainted bare metal spot of a grounded equipment rack). Make sure the unit's power switch is OFF. Make sure the circuit breakers of AC power sources used to power the Mediatrix unit are OFF. Make sure the provided AC power cord is connected into the POWER connector located on the back of the Mediatrix unit and in an appropriate AC electrical outlet. Make sure that your network connection is working. You must use an IPv4 Network. The IPv4 Network must have a DHCP server. If your unit does not have an FXS port, or if you do not have access to the DHCP server's logs, then use the Connecting the Mediatrix Unit Using a Static IP Address procedure. Make sure an adequate earth ground connection has been made between the grounding screw on the back of the Mediatrix unit and an appropriate grounding point in your site. Adequate earth grounding connection of the Mediatrix unit is mandatory to avoid any damage or injuries. Make sure the circuit breakers of power sources used to power the Mediatrix unit are OFF. Connect a 10/100/1000 BaseT Ethernet RJ-45 cable into the ETH1 connector of the Mediatrix unit. Connect the other end of the cable to a router/switch connected to your Network. Turn ON the power sources that are used to power the Mediatrix unit at the circuit breaker. When the unit is brought from a cold to a warm environment, condensation, that might be harmful to the unit, may occur. If this is the case, wait one hour before connecting the power cord. Turn On the power switch of the Mediatrix. If you have an FXS port, dial *#*0 to get the IP address or consult the DHCP server's logs to find out your IP address. The Power LED on the unit will be flashing when the unit performs a DHCP server query. It will become solid once it successfully gets an IP address from the DHCP server. At this point, you can now use the DHCP IP address to access your unit's management interface. Your network interface must be set with an IP address in the 192.168.0.0/24 subnet (e.g. 192.168.0.11). Connect a 10/100/1000 BaseT Ethernet RJ-45 cable into the Ethernet connector of the Mediatrix unit. Connect the other end of the cable into your PC. You can now use the 192.168.0.10 IP address to access your unit's management interface. In your Web browser, enter the IP address used by your Mediatrix unit to communicate with the Web interface. Enter public as your username and leave the password field empty. Use standard telecommunication cables with a minimum of 26 AWG wire gauge. The maximum standard FXS cable length is 450 m and the maximum LP FXS cable length is 2 km . The Mediatrix S7 LP supports longer FXS cables (up to 2 km) and offers an integrated secondary lightning protection whereas the regular Mediatrix S7 does not support these features. If you connect the unit to external lines, you must ensure to have primary protection. The RJ-11 pair of wires is wired so that pins 3 and 4 are connected to the Ring and Tip, which meets the EIA/TIA-IS 968 and CS-03 Issue 8, Part III requirements. Always use standard telecommunication cables with a minimum of 26 AWG wire gauge. Gigabit Ethernet requires all four pairs to be present. Category 5 cables can be used for 10/100 Base T-Connections. Category 5e or 6 cables are recommended for Gigabyte Ethernet. It is possible to use either a crossover or a straight Ethernet cable as the Mediatrix units perform automatic MDI/ MDIX detection, meaning that they adapt to the type of cables connected to them. The Auto MDI/ MDIX feature only works when the unit are configured in auto detect mode, which is the default mode. Make sure your unit is powered off. Flip the unit. The serial number is located underneath the unit. Use with internal Ethernet cable only. Make sure your unit is powered off before flipping it over. Make sure all your cables are well connected. Flip the unit and power the unit. Unable to contact the Management Interface. Wrong Eth port used for the Network configuration (Mediatrix unit on the edge or in the LAN with or without a DHCP server). Card does not appear in the Management Interface. Card appears in the Management interface, but cannot be used (For example, unable to make calls). The card is not configured properly. Refer to the Software Configuration Guide. Unable to contact the Management Interface via the CLI. CLI service not activated in the configuration. Protocol used to contact the CLI not activated. Unable to contact the unit via SNMP. Credentials do not grant access. Unable to make calls, although cards appear in the Management Interface. Hour and date are not synchronized (required by certificates). All LEDs cycling from left to right, individually blinking 1 cycle per second, 33% duty. A firmware pack is being downloaded into the unit and written to persistent storage. All LEDs blinking at 3 cycles per second, 50% duty. One LED out of two has a 180 degree phase. This pattern lasts for 8 seconds. The download of the firmware has failed. After 4 seconds, the unit restarts. Power1 or 2 and Ready LEDs blinking (synchronized) 1 cycle per second, 75% duty. The partial reset is completed. Power LED blinking, 1 cycle per 4 seconds, 75% duty. Triggered when the unit is booting on the recovery bank and no update is pending. Power LED blinking green 3 cycles per second, 50% duty. Waiting for DHCP (IPv4 or IPv6) answer or IPv6 router advertisement or PPPoE connection. No Ip Address configured. Ready LED OFF, all other LEDs cycling from right to left, left to right. The unit tries to download and install a firmware given by the Network Rescue server. The Reset/Default button is a switch that can be used to perform a partial or factory reset while the unit is running. Cancel an action that was started. Revert to known factory settings if the Mediatrix unit refuses to work properly for any reason or the connection to the network is lost. The Reset/Default button will generate different actions depending on the amount of time the button is held. It is the LED pattern that will indicate the action that is being applied to the unit. The action will occur more or less rapidly depending on the platform. Power1 blinking, all other LEDs OFF Restarts the Mediatrix unit. No changes are made to the Mediatrix unit settings. All LEDs blinking, 1cycle per second, 50% duty Initiates a Partial Reset of the Mediatrix unit. Restarts the unit in a known and static state while keeping most of the configuration unchanged. All LEDs steady ON Initiates a Factory Reset of the Mediatrix unit. Reverts the unit back to its default factory settings. All LEDs will become OFF after blinking and being steady on. No action is taken. This is useful if you accidentally pushed the button and do not need and action to be applied. The action is ignored. The partial reset provides a way to contact the Mediatrix unit in a known and static state while keeping most of the configuration unchanged. A partial reset can be performed at the initial start-up of the Mediatrix unit or on a unit already in use where the configuration was modified in such a way that the user can no longer access the system by the Web page or otherwise. In both cases, the user can manage the Mediatrix unit through its Rescue interface, which is bound to the unit's WAN port (ETH5 for the Mediatrix 3000, wan for the Mediatrix 4102s, and ETH1 for all other Mediatrix units). The IP address of the Rescue interface is 192.168.0.1 (IPv4) or an IPv6 Link Local address.. These connections give access to the Rescue Management Interface where the configuration of a new unit can be completed and where an existing configuration can be modified. By default the Rescue Network Interface is disabled. When a partial reset is performed, the Rescue network Interface becomes enabled and the "Power" and "Ready" LEDs are blinking at 1Hz with 75% duty and all other LEDs are off. Once the configuration has been modified to solve the problem that required the partial reset, it is important to disable the Rescue Network Interface to make sure that you are no longer working in the Rescue Network Interface. Rollback Local Firewall settings that are not yet applied. Add a Local Firewall rule to allow complete access to the Rescue interface. Rollback NAT settings that are not yet applied. Add NAT rule to allow complete access to the Rescue interface. Cancel the changes that were being modified but not yet applied to the configuration. Disable any Network Interface in conflict with the Network Rescue Interface. set the IP address to 192.168.0.1 and the Network Mask to 255.255.255.0.
set the IPv6 link-local address on all network links. The IPv6 link-local address can be found underneath the unit. A partial reset will also modify the following parameters and preserve the values below even after the Rescue interface has been disabled. These changes are valid when using a MX profile. If the Mediatrix unit is not using a MX profile, the default values and therefore the behaviour of the parameters may be different. AAA Users.Password User(s) from profile are restored with their factory password. All other usernames keep their password. Users.AccessRights User(s) from profile are restored with their factory rights. ServicesAaaType (table) Each service will be configured to use Local authentication and no accounting mechanism. It is not recommended to access the unit on a regular basis through the Rescue Network Interface. Make sure the unit is connected to the WAN port, as the Rescue interface is bound to the unit's WAN port (ETH5 for the Mediatrix 3000, wan for the Mediatrix 4102s, and ETH1 for all other Mediatrix units). The IP address of the Rescue interface is 192.168.0.1 (IPv4) or an IPv6 Link Local address. When the Power LED is steady or blinking rapidly, insert a small unbent paper clip into the hole of the Reset/Default button located on the Mediatrix unit. The Power LED will start blinking. When all LEDs are blinking, but before they stop blinking, remove the paper clip. You have between 7 to 11 seconds. The Rescue Network Interface is displayed when accessing the Management Interface. Several parameters and services are modified, refer to Partial Reset . Do not forget to perform the Disabling the Rescue Interface step. By default the Rescue interface is disabled. However, after a partial reset the rescue interface is enabled. The Rescue interface is bound to the unit's WAN port (ETH5 for the Mediatrix 3000, wan for the Mediatrix 4102s, and ETH1 for all other Mediatrix units). The IP address of the Rescue interface is 192.168.0.1 (IPv4) or an IPv6 Link Local address. Go to Management /Misc . From the Network Interface drop-down menu, select the interface that will be used to manage the unit. If you keep the Rescue Interface selected, you will not be able to get into the management interface after disabling it. Go to Network /Interfaces . In the Rescue Interface table, from the Activation selection list, select Disable . Make sure to reconfigure at least the user's authentication and firewall rules (if applicable), otherwise it may leave the unit unsecure. The unit will be reachable either on the new configured static IP address or on the DHCP . The Factory reset reverts the Mediatrix unit back to its default factory settings. Directly on the unit. Refer to Performing a Factory Reset . Via the web interface of the Mediatrix unit (Management /Firmware Upgrade ). Via the Command Line Interface of the Mediatrix unit by using the fpu.defaultsetting parameter. The Factory reset alters any persistent configuration data of the Mediatrix unit. Insert a small, unbent paper clip into the hole of the Reset/Default button, located on the Mediatrix unit. Do not release the Reset/Default button before the LEDs stop blinking and are steadily ON. This can last from 12 to 16 seconds. If you leave the inserted pin longer, no action will be taken which is useful if you accidentally pushed the button and do not need any action to be applied. All configuration parameters are reset to their default value. The unit can then be contacted via its WAN interface DHCP-provided IP address (ETH1 or WAN on the 4102), or via its LAN interface default IP address 192.168.0.10 (ETH2 or LAN on the 4102). The standards compliance of the Mediatrix units are printed on the same sticker as the product serial number. 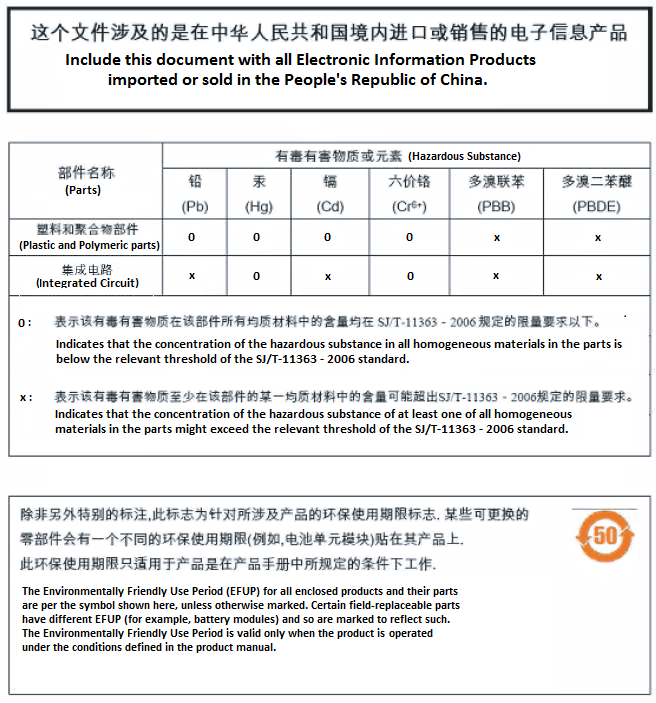 Refer to Locating the Product Serial Number . Modifications: Any modifications made to this device that are not approved by Media5 Corporation may void the authority granted to the user by the FCC to operate this equipment. We, Media5 Corporation, located at 4229 Garlock st. Sherbrooke, Québec, Canada J1L 2C8, declare that for the hereinafter mentioned product the presumption of conformity with the applicable essential requirements of Directives 2014/30/EC and 2014/35/EC European parliament (EMC and LVD directives)is given. Any unauthorized modification of the product voids this declaration. For a copy of the original signed Declaration Of Conformity please contact Media5 at the above address. This Mediatrix unit is in compliance with the Council Directives 2011/65/EC on the restriction of the use of certain hazardous substances in electrical and electronic equipment. 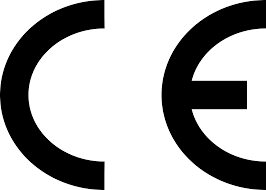 Model M complies with the China IEC 60950-1 safety deviation, but does not have CCC approvals. Use only at altitudes no more than 2000 m above sea level. Only use in non-tropical climate regions. The SKU number is an alphanumerical number indicated on a label located under the unit. This number identifies the configuration and packaging of the unit and is used for order processing and inventory. On a Model S unit, the SKU number is composed of 24 digits, each having a specific meaning. 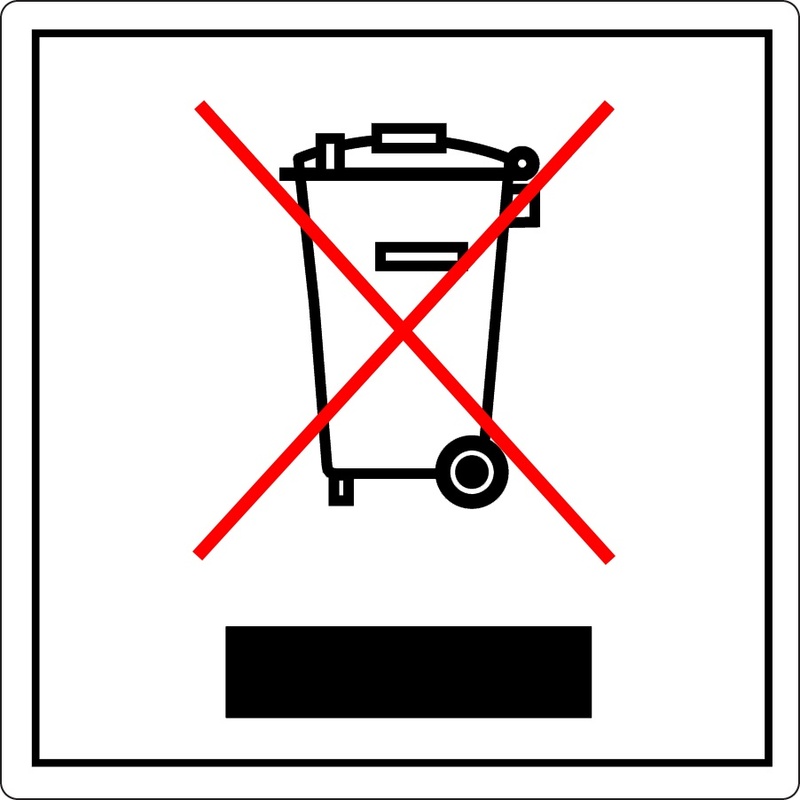 This symbol indicates that the product is classified as electrical or electronic equipment and should not be disposed of along with commercial or household waste at the end of its working life. For appropriate disposal and recycling instructions, contact your local Media5 Corporation provider. The Waste of Electrical and Electronic Equipment (WEEE) Directive (2002/96/EC) was established by the European Union to minimize negative impact on the environment, control hazardous substances, and curtail landfill expansion by using the best available recovery and recycling techniques. Mediatrix units are supplied with an exhaustive set of documentation. Mediatrix user documentation is available on the Documentation Portal . Release notes : Generated at each GA release, this document includes the known and solved issues of the software. It also outlines the changes and the new features the release includes. Configuration notes : These documents are created to facilitate the configuration of a specific use case. They address a configuration aspect we consider that most users will need to perform. However, in some cases, a configuration note is created after receiving a question from a customer. They provide standard step-by-step procedures detailing the values of the parameters to use. They provide a means of validation and present some conceptual information. The configuration notes are specifically created to guide the user through an aspect of the configuration. Technical bulletins : These documents are created to facilitate the configuration of a specific technical action, such as performing a firmware upgrade. Hardware installation guide : They provide the detailed procedure on how to safely and adequately install the unit. It provides information on card installation, cable connections, and how to access for the first time the Management interface. User guide : The user guide explains how to customise to your needs the configuration of the unit. Although this document is task oriented, it provides conceptual information to help the user understand the purpose and impact of each task. The User Guide will provide information such as where and how TR-069 can be configured in the Management Interface, how to set firewalls, or how to use the CLI to configure parameters that are not available in the Management Interface. Reference guide : This exhaustive document has been created for advanced users. It includes a description of all the parameters used by all the services of the Mediatrix units. You will find, for example, scripts to configure a specific parameter, notification messages sent by a service, or an action description used to create Rulesets. This document includes reference information such as a dictionary, and it does not include any step-by-step procedures. Copyright ™ © 2019 Media5 Corporation. This document contains information proprietary to Media5 Corporation.